or call 1-866-973-9611 and mention Coupon Code V4L89. *Discount price will appear in a drop-down menu once you have put reserved category tickets in your shopping cart. Please select the discounted price and proceed to check out. OPIUM is the hilarious new adults-only show from Spiegelworld, the creators of Absinthe. It’s a wild ride on board the starship OPM 73 as you travel from Uranus to Las Vegas with in-flight entertainment provided by the galaxy’s most talented variety performers and other space oddities. 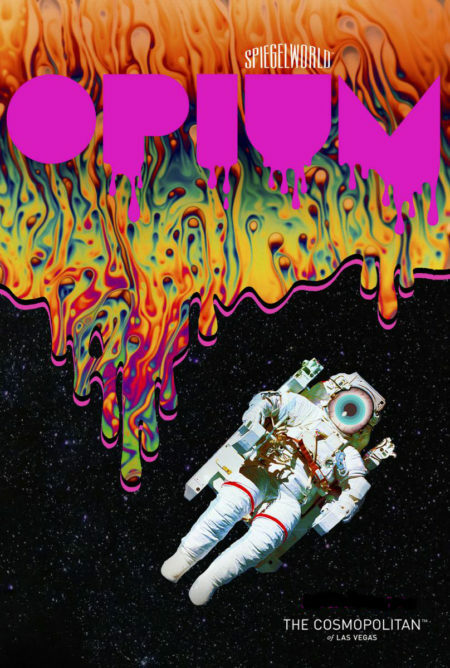 Featuring an alien chanteuse and a house band cranking out Planet Earth’s greatest hits, OPIUM is a fast, funny and funky love letter to every B-grade science fiction movie ever made. OPIUM is intended for audiences 18 years of age or older. Running time is approximately 85 minutes without intermission.